Sunny weather, light breezes and mild temperature made for perfect fishing conditions at Kistler Ranch for about 16 members and guests. It seems that most caught fish. Black bass, blue gill, crappie and some other kind of small white fish were the order of the day on the three ponds. Six of the people fishing were using float tubes and the rest were wading the edges or fishing from shore. David Harris was the early and late bird, fishing from 8 AM to about 8 PM. 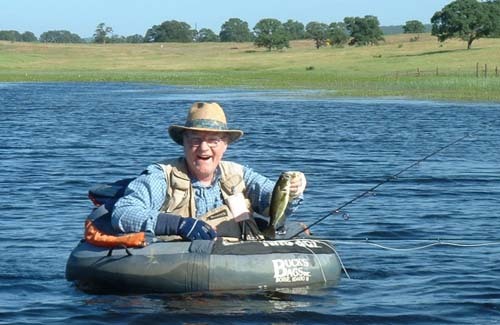 He used poppers most of the time and caught quite a few bass and crappie. David Harris, Mike McGuire, Dennis Kellett, Mike Pinelli, Oscar Guzman and I all fished from float tubes. Our youngest PFF member Thomas Rauner was fishing with his dad and three of his guests. George and Maria Conway, Larry Mitchell, Homer Eaton, Dan Abrahamson and his friend Lewis Haws from Eureka, CA rounded out the list of people fishing. We had a break at 12:30 PM to have a pot-luck lunch, with some great chili made by my son-in-law, Scott Carlisle. Scott has cancer of the tongue and had to have his removed. He’s a great cook and even though he can’t eat solid food anymore, he still loves to cook. He roasts his own chilies then grinds them to make a great chili flavoring. One of our members said that the whole trip was worth it because of Scott’s chili. When I told Scott that he sure had a wide grin on his face. 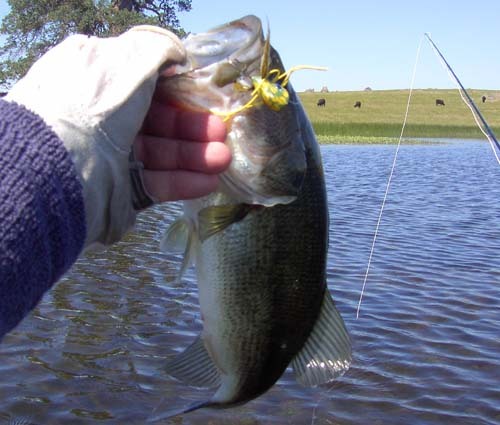 A lot of us used poppers to fish for bass. I used one of my frog poppers the whole day. It is the first time one of my epoxy coated poppers ever had the finish start to come off because of the action by the bass that I caught. 20 bass to my float tube with another 5 that jumped but got off before I could land them was my score for the day. 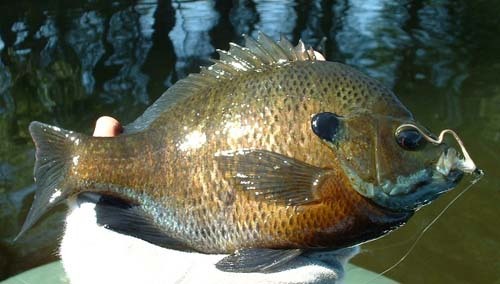 I did get one of the biggest blue gill I’ve ever caught on the same frog popper. One of the things that I’ll always remember about this Kistler trip is the bass Dennis Kellett caught late in the afternoon. I was fishing along the dam working my way back to the corner closest to the ranch house. I had caught a bass in that corner earlier and I knew there was another waiting to get caught. I saw Dennis working his way over to the same side of the pond and asked him where he wanted to fish. He said he was going over to the side near the ranch house. I stopped working my way back and told him to work his way to the corner near the dam and to be sure to hit the corner. My last remark was “ There’s a bass waiting for you right there.” Sure enough he dropped his popper in the corner and ended up catching the biggest bass he’s ever caught at Kistler. It normally doesn’t work out that way, but it’s great when it does. I’ll always remember that fish and I’m sure Dennis will too. 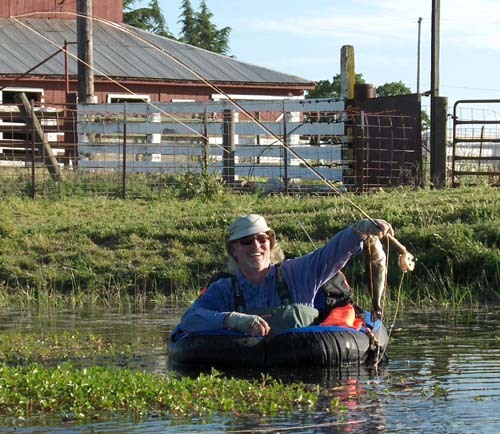 Kistler Ranch is a great place to fish. The bass are not the biggest but there is normally good action for all the fishermen. Why don’t you plan to join us next year.